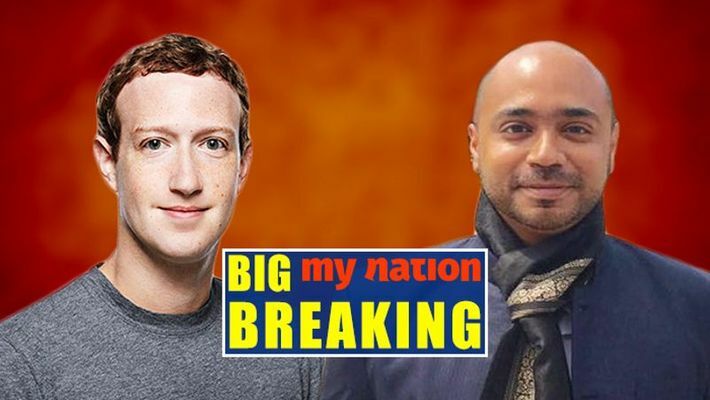 New Delhi: Noted security and policy expert Abhijit Iyer-Mitra has lodged a criminal complaint against social networking behemoth Facebook with the Delhi Police, alleging that it was “subverting Indian elections in collusion with the ISI” and thus “waging war” against the nation. Iyer-Mitra has also moved the Election Commission of India (ECI) with a similar plaint against Facebook. The complaint alleged that Facebook was trying “to interfere in the internal process of elections in India at the behest of foreign powers — including but not limited to Pakistan’s Inter-Services Intelligence (ISI)”. Recently, FB had taken down several websites from its platform, citing penal action against “disinformation”, but in essence hitting at pro-Right Wing and pro-PM Modi outlets. It also took down MyNation’s website without any intimation or explanation. While MyNation has been assured by the FB management that the problem would be resolved soon, nothing has been done yet and no specific reason has been cited. Iyer-Mitra’s complaint was lodged with the Sansad Marg police station. The security expert has demanded an investigation against FB vice-president in India Ajit Mohan and FB founder and chairman Mark Zuckerberg in the matter. This meant, Iyer-Mitra alleged, that FB wanted to “control the dissemination of information during the course of the Indian electoral process”. Mitra drew attention to the fact that Atlantic Council counted Pakistani national Shuja Nawaz, brother to former Pakistani army chief General Asif Nawaz Janjua. “That the inescapable conclusion that one is led to draw from the facts presented above is that the task of playing a ‘positive role’ during elections in India has been outsourced openly by Facebook, which as documented above has a murky past of interference in democratic processes, to a think tank that has links to Pakistani intelligence,” Iyer-Mitra wrote in his criminal complaint. Iyer-Mitra’s allegations against FB are defined under section 121 and section 120B of the of the Indian Penal Code (IPC). He put his complaint in the context of the tainted past of the social networking site globally. “That lately, the company has been caught up in scandals around the world including in the United Kingdom as well as the United States of America as it has been accused of interfering in the Brexit referendum as well as the United States presidential election of 2016, in collusion with a firm known as Cambridge Analytica. The same was covered extensively by the foreign media after the lid was blown off the scandal by a former employee of Cambridge Analytica — one Christopher Wyllie,” the complaint read.